I love walking through my garden, but when I stop and bend down, I see so much more! I have so many active friends that work and play in my garden. Let me introduce some of them to you. 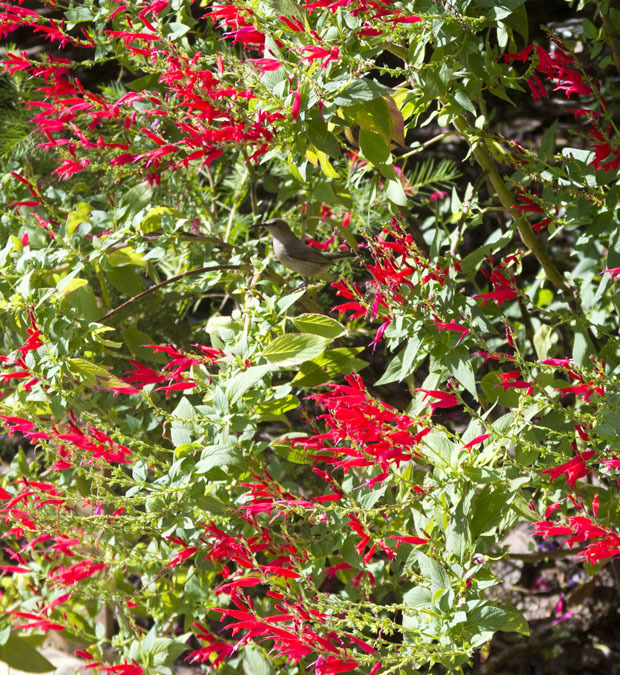 My sunbirds are back and enjoying the Pineapple Sage bush – they frequent this bush, so my next photograph shoot will hopefully catch the splendid male. 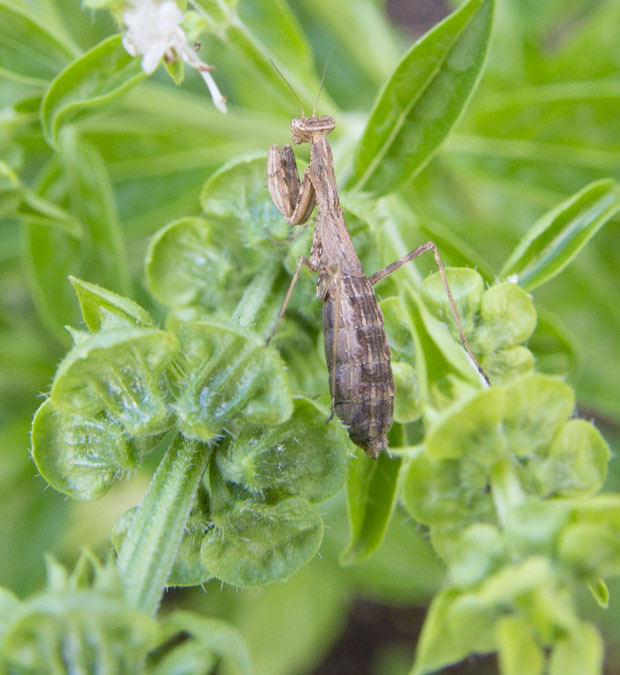 Lots of Praying Mantis, I am happy to say. This is an unusually looking one! 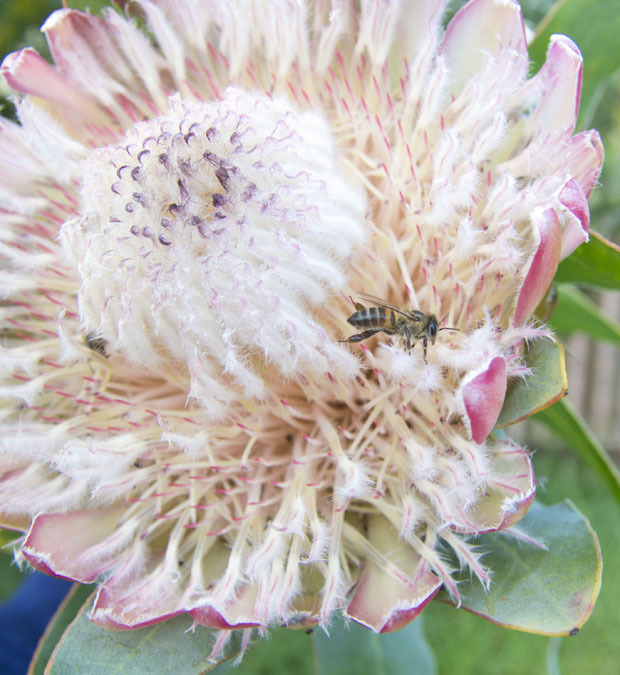 My bees are always welcome – we need to be kind to the bees! My favourite of all – the chameleon!! Fat and happy – I think she is pregnant! What do you think? 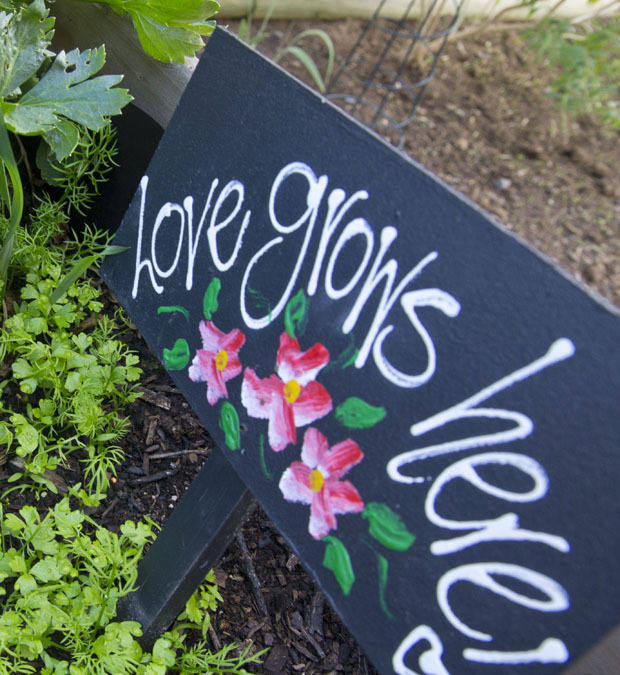 This sign keeps reminding me of my best friend who shares my garden with me and cares when I least feel like it and always gives me an encouraging word. AND the happy trips to the nursery – thanks my buddy! The chameleon is just astonishing. What a beautiful creature. So that is the size that pineapple sage should grow to? Mine is a healthy looking specimen but could never be described as a bush and I have to renew it from cuttings every year! 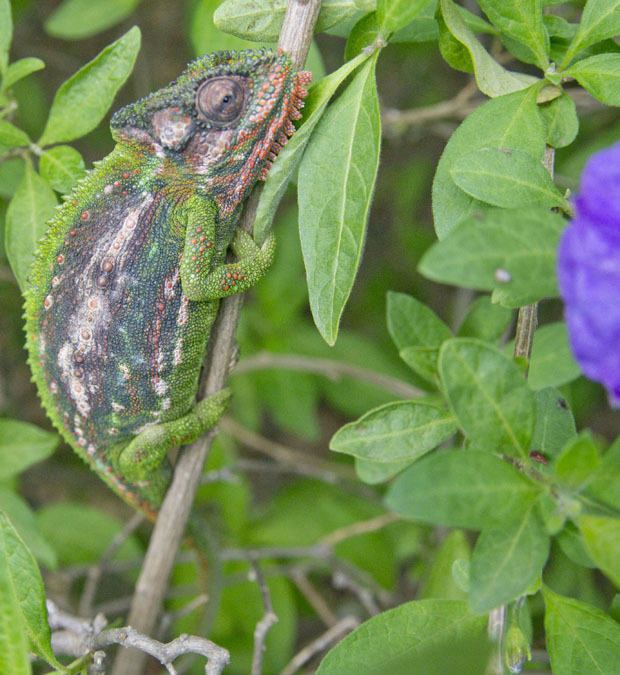 Now that’s someone I’ll never see in our garden, a Chameleon! How fun! He’s wonderfully colorful. 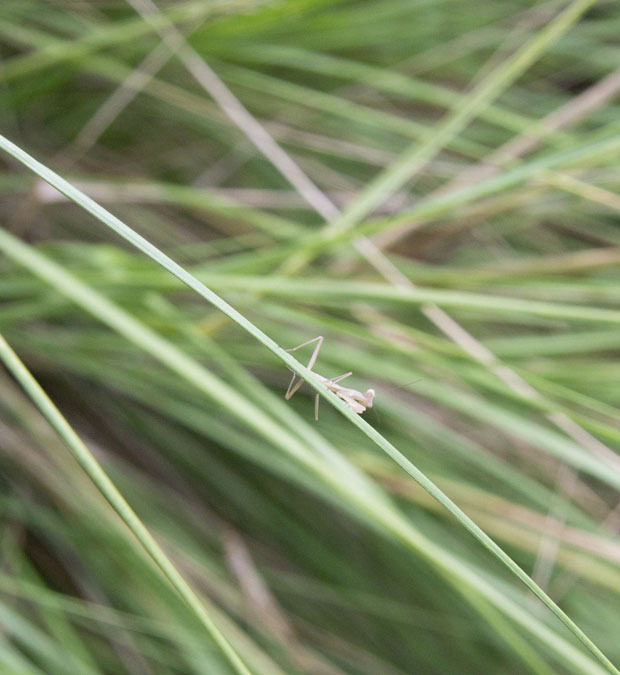 We do have lots of lizards zipping about in our new garden though, and hopefully we’ll see a few more of those. That pineapple sage looks absolutely amazing! I didn’t realise the pineapple sage would grow so big. I put mine in a pot … should I plant it out? PS: Love the chameleon photo! 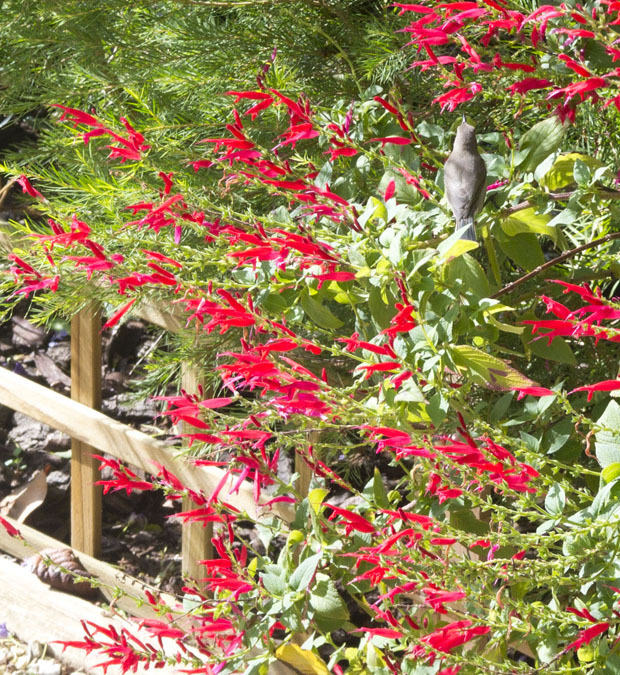 I love my bush and the sunbirds just love it too!! I think it will do nice in a pot. It gets leggy though, so I think I should have placed it in a more sunny area. Ooooh, you must stop posting chameleon photos. They make me feel like my garden is missing something reptilian. No, don’t stop — they’re amazing! Oh yes – me too! And by the way, she WAS pregnant – today, she is thinner and I have spotted 2 baby chameleons – I wonder how many they can have. Great post. I especially like the chameleon. We don’t have them here in Michigan. I haven’t seen a praying mantis is years. Such a favourite in our garden. The potato bush is an ideal home because it is so dense, but the fiskal shrike lurks,….. Funny – I also think my chameleons are female – and I was right, she had babies!! but there must be a male too!